Samsung Electronics and LG Electronics have announced new mid- and low-end Android-based smartphones. Samsung hopes to attract users with a dual-core processor, while LG is putting Android 4.0 on some of its new phones from day one. The new arrivals are the Galaxy Ace 2 and the Galaxy mini 2 from Samsung, and the Optimus L3, L5 and L7 from LG. The low-end L3 will have a 3.2-inch display and ship with Android 2.3 intalled. It is aimed at first-time Android users for whom price is more important than the latest software, according to LG. The L5 and the L7 will have 4.0-inch and 4.3-inch screens, respectively, and ship with Android 4.0 installed. LG and Samsung are both pushing the slimness of their devices. The LG phones will have a slimmer look, the company said without detailing the actual measurements. Samsung's Galaxy Ace 2 is 10.5 millimeters thick, compared to the original Ace model which was 11.5 millimeters thick. However, the Ace 2 is also a little wider and longer, to make room for a bigger screen with a higher resolution -- 3.8 inches and 800 by 480 pixels compared to the previous model's 3.5 inches and 480 by 320 pixels. 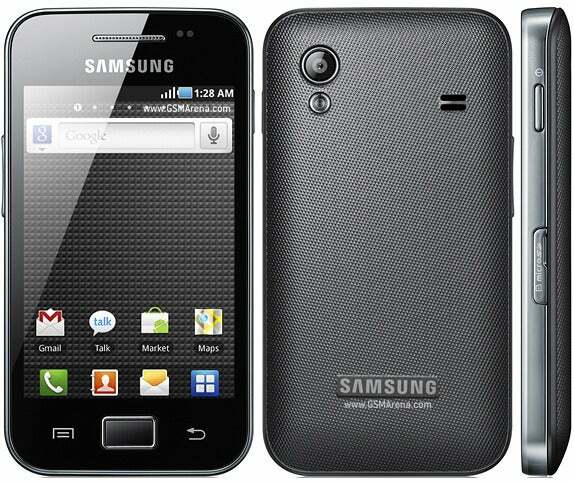 The Samsung Galaxy Ace 2 also has an 800 MHz dual-core processer, instead of a single core processor at the same speed. Last year, dual-core processors were only found in high-end smartphones, but as that category is now moving on to four cores, two cores are turning up in cheaper products. The Ace 2 has more memory, a bigger battery and a faster HSPA (High-Speed Packet Access) connection, as well. Samsung's second newcomer, the Galaxy 2 mini, has a 3.27-inch screen with a resolution of 480 by 320 pixels, which is a also better than its predecessor. The memory has grown from 160 MB to 4 GB, according to Samsung. The mini still has a single-core processor, but its speed has increased from 600 MHz to 800 MHz. Both Samsung phones will run Android 2.3, and have integrated support for NFC (Near Field Communications) as an option. The company did not reply to questions about a possible upgrade to Android 4.0. 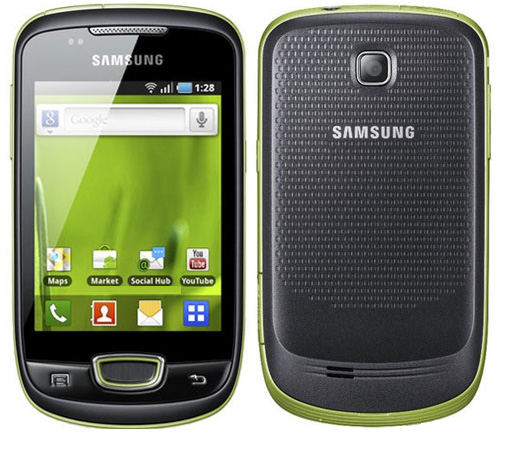 The Galaxy Ace 2 will go on sale first in the U.K., in April, and the Galaxy mini 2 will be available in France from March, before being rolled out globally, according to Samsung. 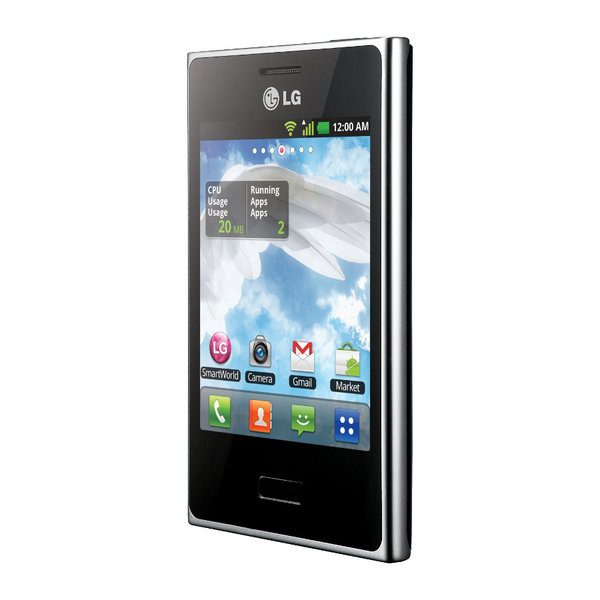 LG's Optimus L3 will arrive in Europe in March, while the two other models are scheduled to start shipping during the first half of the year, according to LG, which has planned a launch event for Sunday at Mobile World Congress. Neither company said what their phones will cost.